2003 Honda Civic 170i VTEC with only 175997kms, Full Service History with Service Book!! 2006 Honda Civic 150i VTEC 4-door AT for sale! 2008 Honda Civic 1.8 i-VTEC VXi 4-door for sale! 2012 Honda Civic 1.6 i-VTEC Comfort 4-door for sale! Honda Civic 2.0 i-VTEC Type R 3-door, White with 146925km, for sale! 2008 Honda Civic 1.8 i-VTEC VXi WITH ONLY 174833km's, Service History!! 2013 Honda Civic 1.6 i-VTEC Comfort 4-door AT for sale! Honda Civic 1.8 i-VTEC Executive 4-door AT, Silver with 126000km, for sale! Honda Civic 1.8 i-VTEC Comfort 4-door CVT with 1km available now! Honda Civic 1.8 i-VTEC Elegance 4-door CVT with 1km available now! Honda Civic 2.0 i-VTEC Turbo Type R 5-door with 1km available now! 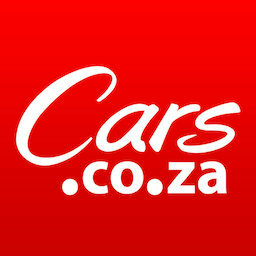 Get daily alerts for new listings of "civic vtec"
Get daily alerts for new listings of " civic vtec "